Welcome to Whitehill's bookkeeping and accounting support for small businesses, one-person businesses, sole traders and contractors. Personal bookkeeper No call centres, no outsourcing, no automated call handling - just your own friendly dedicated bookkeeper. 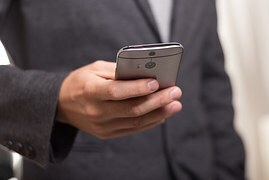 Entry of bills, invoices and expenses We have a range of options for you to keep track of invoices, bills and expenses, including maintaining paper records, emailing copies and using a smartphone app to photograph and record. Payroll and pensions bureau We have dedicated staff who provide a comprehensive and confidential payroll service, including sdministration of PAYE, national insurance, statutory sick pay, statutory maternity pay, etc, completion of statutory forms, including year end returns, to issue to your employees and submit to the Inland Revenue and setup and administration of pension schemes. Completion and filing of VAT returns We have experience in administering a whole range of VAT schemes, from standard cash and accruals to flat rate and even the Travel Operators Margin Scheme (TOMS). Our qualified staff will compile and submit VAT returns for you, ensuring they're accurate and submitted on time. Completion and filing of accounts We'll prepare and file your annual report and accounts with Companies House and, if appropriate, to the Charity Commission as well. We'll use the appropriate accounting standards and make sure everything's filed on time. We can also prepare and file Confirmation Statements to Companies House and Annual Returns to the Charity Commission. Personal and corporation tax calculation and returns We have specialist staff who will prepare your corporation tax return and submit this on your behalf to HMRC. We can also prepare and submit your Self Assessment Tax Return (SATR) to HMRC, and advise on certain tax issues such as salary and dividend tax implications. Better support for Quickbooks Online We're one of the few strategic Platinum partners in the South West for Quickbooks Online, the UK's most popular cloud based accounting and bookkeeping package. We can supply and set up Quickbooks Online, with free migration from existing systems and free support by phone or email. Our qualified staff will be able to get you all the help you need to make the most of an investment in the latest accounting software. Services to support the development of your business As your business grows, so can the services we offer. You can add credit control, dynamic management reporting and more, without losing any of the support you already have. Low cost monthly fee with no hidden extras Everything you need including tax returns, filing with Companies House (if required) and other services such as payroll are all included in a single monthly fee. No hidden extras! Whitehill has a history of supporting small businesses with a wide range of business services. Key to that support is knowing what works best in real situations, for real businesses. That’s why we’ve developed a set of cutting edge bookkeeping and accounting solutions which are simple, transparently priced, and which will future-proof your business. To achieve all this we’ve teamed up with QuickBooks Online, the leading cloud accounting provider in the UK, and a number of other providers of online technology who help to address specific needs. We understand that as a small business, you'll need to be sure you’re getting the most cost-effective solution for your business. We’re pricing our solutions to be highly competitive against other major providers, and we’ll always aim to provide the most cost effective solution for your business. You can rely on our support, and be confident our complete bookkeeping & accounting solutions are the best way to move your business forward. "As a successful and growing company, outsourcing our finance function to Whitehill has allowed us to focus on growing the business and meeting the needs of our customers. We've been able to rely on Tania and the team for everything from VAT returns and payroll to annual report and accounts preparation and weekly management reports. We even rely on them to ensure our bills get paid on time and we collect from customers in a timely manner. I would thoroughly recommend them to any small company looking to grow." "I went to Whitehill on a wim really , I found them online . For a few years I had tried to do my own books and paper work and whilst ok i always felt out of my depth and worried about the rights and wrongs !!! Daunted about taking what was probably a bit of a mess to a proper book keeper and accountant ... They're all suits and numbers right ?? Wrong! Whitehill are actually quite hip, they made me feel at ease they offered me solutions to keep my accounts on track and inline with HMRC guidelines .Once introduced to Quick books they've been brilliant in supporting me whilst I get up and running and I can't thank them enough .No grey suits ... Good tea and made to feel at ease with the process .Thumbs up !" "My corporate video production business, was formed a year and a half ago. We work on projects for both businesses and charities across the UK and abroad. I've been going to Whitehill Business Services for my bookkeeping services ever since. I was recommended Whitehill by a friend who said his experience had been really positive with the service provided, and I haven’t been disappointed. My business has grown substantially over time and Whitehill have been very supportive every step of the way, making sure all my business needs were covered. The staff have always been professional, friendly and accurate in their provision of information and support. I've found that they have really taken the pressure off - now I can relax, focus on my business, knowing Whitehill is taking care of my finances behind the scenes. If you're looking for a reliable, trustworthy bookkeeper then Whitehill Business Services is definitely a good option and I would strongly recommend them to anyone." ""In my three years with the Wildcats I have worked very closely with Chloe and the team at Whitehill, they have proved to be very helpful and consistent in all area's. In my particular role I am often emailing over requests and regularly need advice which the team are more than happy to provide. Whitehill are efficient and accurate when providing any information, I would highly recommend their services to any professional organisation." Here at Whitehill we believe in working as a team. A team which doesn't just include our own staff, although that's important to ensure we're up to date with rthe latest legislation and technology, but a team which includes you, the client. We want you to succeed; we want your business to grow, and to grow profitably. And we'll provide all the support we can to make that happen. Moving to an online solution means always-on access to your accounts. Check whether an invoice has been paid, or what’s in the bank, wherever you are and whatever the time is. Capture and send a receipt while you're still in the shop. With apps for smart phones and tablets plus desktop access through your browser, we’ll make sure your accounts are accessible anytime, anywhere. We know that, however good the technology is, you need to know who's looking after things for you. That's why your account will be managed by a named bookkeeper who’s experienced in the needs of a business like yours. You'll be able to discuss any issues and we'll keep you up to date with your finances, so you'll always know who to talk to. The Whitehill bookkeeping office is organised and run by qualified and certified bookkeepers who are experienced in providing a cost effective and highly professional service. With Whitehill, you can have your own micro-finance department without the cost and hassle. You can choose one or all of our services, and add on to a basic package as you need it. Have a look at our sample pricing for some common packages, or get in touch to get a quote tailored to your needs. We specialize in flexible and effective bookkeeping services for small businesses. Whether you're starting your own consultancy or small business, looking to grow your business, or have an established business but want to take advantage of the best online cloud-based accounting solutions, we can help. With years of experience alongside a wide range of businesses, we understand the dilemmas many startups and small business owners face. Pretty much every startup and most small businesses don't have the need for a full time bookkeeper, or the background to manage one effectively. Many small business owners work from home and don't want to bring someone in to their home to maintain their books. So they end up struggling to do it themselves, wasting time, money and energy better invested in their business or they hire an accountant firm to do the work and spend much more than necessary. We offer a powerful alternative; the latest in online cloud-based accounting, coupled with an experienced bookkeeper to oversee and manage your accounts. We'll ensure your accounts are filed with Companies House, and HMRC get both company tax and personal (self assessment) returns on time. With an in-house payroll bureau, we can also provide real-time payroll for you and your employees, making Whitehill a one-stop shop for all your financial support. Cloud - or virtual - bookkeeping offers a simple, convenient and cost effective means of maintaining your business books wherever you live and work. Using the power of the internet, your books are securely stored online - in the cloud - and backed up daily. Full support and upgrades are included so there are no hidden extras. You'll get access to smartphone apps which help capture expenses and keep track of progress. We offer flexible plans designed to meet the needs of a wide variety of small businesses and individuals; whether you need occasional advice, support and troubleshooting or are looking for a full service bookkeeping option, we offer the solutions you have been looking for. Have a look at some sample packages to see what's on offer. By moving to the latest online solutions for bookkeeping, you'll ensure that your systems are future-proofed as well as supported into the future. As your business grows, you'll want to ensure you stay on top of performance and add new employees. Whitehill's scalable solutions will ensure your business has all the support you need, and nothing you don't. Whatever your current position - whether you're starting up a new business, growing an existing business or seeking to cut costs and future-proof an established business, we're dedicated to making your financial systems work for you. As you require them, we can add and tailor management reporting systems to track business performance, add extra employees to your payroll, and provide credit tracking and chasing to ensure you get paid on time. All of these can be added when you need them, but you can be certain we'll ensure you get good financial insight into your business and excellent bookkeeping records that both meet the requirements of HMRC and Companies House from day one. Whether you're a one man band or have 40 employees, we can help you organize and take the load off daily bookkeeping tasks, no matter where you're located! Our bookkeepers are all qualified by AAT or equivalent so you can rest assured you are in good hands. We know you have a wide range of bookkeeping and accounting companies, partnerships and sole traders to choose from. By tailoring what we do to your specific business needs, and taking advantage of the latest technology online, we'll ensure you get an inexpensive yet professional servicewhich has the capapbility to grow with your business. By offering the latest online cloud accounting packages and associated support, we make sure you're never going to pay for support, upgrades or backups again, and that all your information is available at your fingertips. Every member of the Whitehill bookkeeping team is professionally qualified by AAT, the professional body for accounting technicians, or has equivalent qualifications and experience. We have many years of experience in managing accounts, credit control and payroll services as well as dynamic management and statutory reporting of financial results. We have a reputation for delivering everything you need, in a professional and friendly manner. In fact, we provide our services the way we like to get them; in a reliable, approachable and affordable. Whether it's bookkeeping, credit control, management reporting, Payroll or VAT returns or invoice processing you need, Whitehill Bookkeeping will work hard to help you maintain and maybe even grow your business - without the need to employ office staff or the expense of setting up an office. You may have been in business for some time, and you're used to having a fried, relative or part time bookkeeper coming in and keeping your books up to date. Perhaps you go to an accounting firm to get your annual report and accounts, and tax returns done. With ageing software and no real access to new technology, you may feel it's time to future-proof your business. You want better access to your financial information and real time reports. You want to make the most of technology to cut costs and improve credit control, or get a better grip on expenses. We have solutions tailored for you. Read more ». You may be new to business and want a little more information on what's involved. Here's our 5-step summary to help you see how it all fits together. We set up books and accounts and bring them up to date. If you already have accounts, we take these on - whatever state they're in. You'll have access online and via apps. From here on, you can invoice direct to your clients, and submit or enter expenses. We reconcile and you can now keep track of and manage your business. We deal direct with HMRC as your agent, or just provide information to you, ensuring any VAT and Payroll amounts are correctly reported. We produce reports for Shareholders, Companies House, the Charity Commission or anyone else, as and when needed. We can also provide payroll services, dynamic management reports and a complete credit risk management operation as needed. 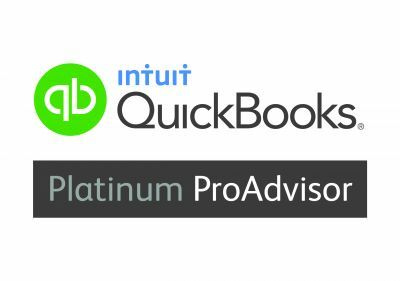 Whitehill are Platinum ProAdvisors for Quickbooks Online and also have a strategic partnership in place with Intuit (the makers of Quickbooks). 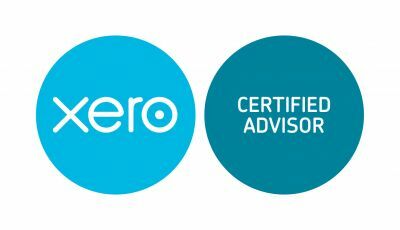 We are also members of the Xero partnership programme and have experience with Sage. All of which means we can offer you special discounted rates, full support and the confidence of knowing that all our bookkeepers are fully trained and qualified. Not only can you benefit from our special rates and technology, you cna be sure that your finances are in safe hands. Training, support and upgrades included You'll get access to extensive training resources and support by phone and email, plus daily backups of all your data and software upgrades are also included. Services to support the development of your business As your business grows, so can the services we offer. You can add credit control, dynamic managment reporting and more, without losing any of the support you already have.